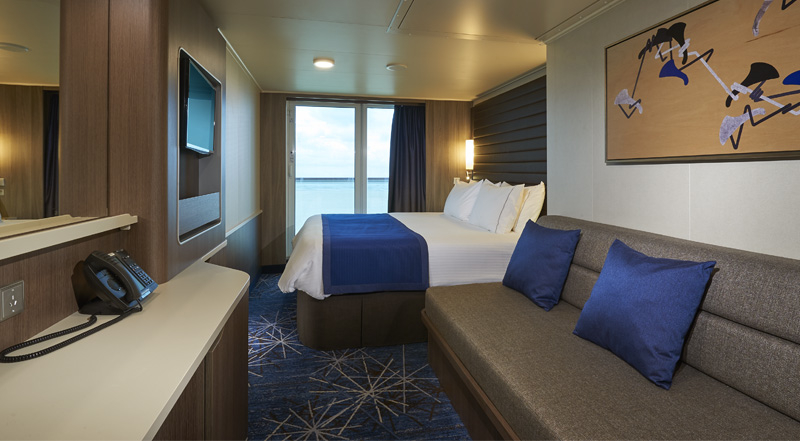 Ideal for the whole family, these staterooms include two lower beds, with additional bedding for up to two guests. Take in breathtaking forward-facing views. These Penthouses have access to The Haven and feature dining and sitting areas. These Penthouses have access to The Haven and offer a king-size bed and additional bedding for three, as well as living and dining areas. With a convenient mid-ship location, they offer a fantastic view from the private balcony. Featuring two beds that convert to a queen and a sofa bed - some also include an additional bunk bed. These Mini-suites also offer amazing views. Enjoy the dining and excitement just steps away from The Waterfront. These Family Mini-Suites include a bunk bed, single sofa bed and bathtub. Hang out with the gang and enjoy the view from your own private balcony. 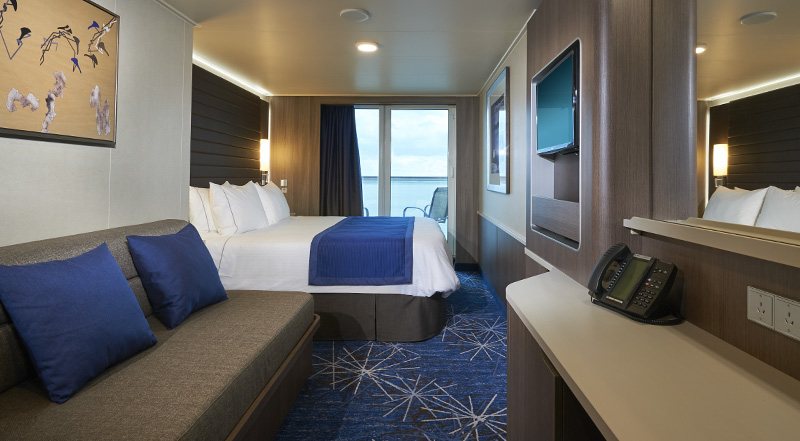 Perfect for families, these staterooms include two single beds that convert to a queen-size bed, a bathtub, and additional bedding. Enjoy a large picture window with amazing forward facing views and two single beds that converts to a queen-size bed.